Then suddenly around 12:20 pm I felt like somebody in my sleep touched my hand and woke me up. I thought it was my younger daughter. Then as soon as I woke up, I felt something burning like smell in the kitchen. When I went and saw it, Oh my Sai, I hadn't put off the gas burner itself and it was just burning high. Then immediately I put it off. It was Sai Maa only Who came, woke me up and rescued us. I don't know otherwise what would have happened to me and my family because the gas was burning continuously for nearly two hours. Sai Maa, our merciful Mother always comes to our help. He protects and saves His children from danger. Thank YOU Baba for waking me up and saving us. Thank You for being with me every time. Please protect us and guide us always Sai Baba. 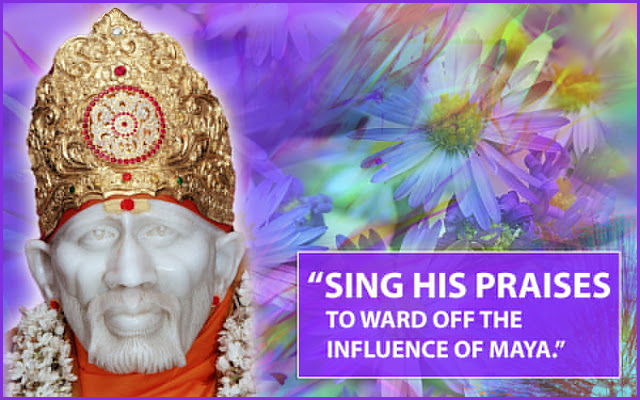 Why fear when we the most fortunate children having our Guru, Guide, Father and our Saviour as Sai Maa? He will not allow His children come to harm unnecessarily and always help us evolve on our Karmic path too. Love You Deva. Jai Jai Ho Sai.